Applicant interviews are scheduled to be conducted beginning at 5:45 pm on Tuesday, January 13th. Photo credit: Lesley Van Winkle. 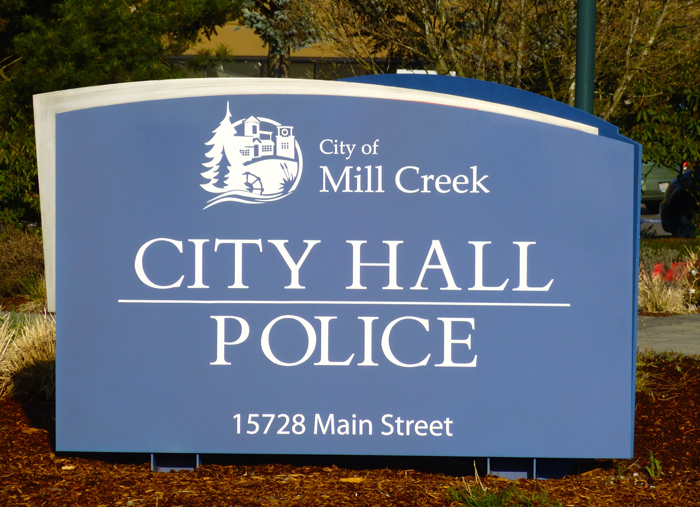 The Mill Creek City council hopes to choose which of the seven applicants will take Mark Harmsworth’s open council position at their regular meeting on Tuesday, January 13, 2015, at 5:30 pm. Harmsworth resigned from the Mill Creek City Council position effective December 31, 2014, to focus on his role as a newly elected representative in the Washington State Legislature. At their January 6th meeting city councilmembers decided not to let applicants speak to them prior to the interviews because of time constraints and to give each applicant an equal chance to explain why they are a good choice for the open position. Mill Creek resident Chuck Wright publicly expressed his displeasure with this decision at the end of the meeting. He said that it was undemocratic to restrict residents’ access to elected officials. The following interview schedule was decided by a random drawing by Mill Creek City Clerk Kelly Chelin. The short candidate descriptions come from their applications. Their applications can be viewed in their entirety by clicking here. 5:45 – Douglas Carlson. A former government scientist who has lived in Mill Creek for six years. 6:00 – Wil Nelson. A US Army veteran and former facility engineer who has lived in Mill Creek for ten years. 6:15 – Zachary Anders. The current Chairman of Mill Creek’s Art and Beatification Board and Jackson High School Student who has lived in Mill Creek for eight years. 6:30 – Herbie Martin. A US Army veteran, current Washington State Labor Council Vice President, and Chair of the 44th Legislative District Democrats who has lived in Mill Creek for ten years. 6:45 – Michelle Racioppo. A former or current employee of a large corporation who has lived in Mill Creek for nine years. 7:00 – Vincent Cavaleri. A former member of Mill Creek’s Parks and Recreation Board and current Snohomish County Sheriff’s Deputy who has lived in Mill Creek for nine years. 7:15 – Lynn Sordel. A former Mill Creek City Councilmember and current Lynnwood Parks and Recreation Director who has lived in Mill Creek for eight years. Whoever is selected will serve until a new city councilmember is selected by Mill Creek residents at the end of this year.